Show of hands – who remembers seeing this announcement when it was first posted? If you were one of the then relative few that decided to use this newest CMS (Content Management System) for your website, give yourself a pat on the back for recognizing greatness! 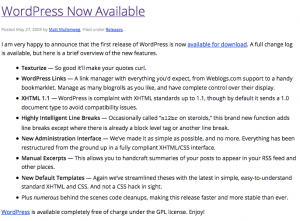 From its launch in May, 2003, WordPress evolved from a little-known blog software to a full-service CMS that continues to improve; winning accolades for its ease of use, accessibility, SEO enhancement, and unequalled customization potential due to the thousands of plugins created by the users themselves. 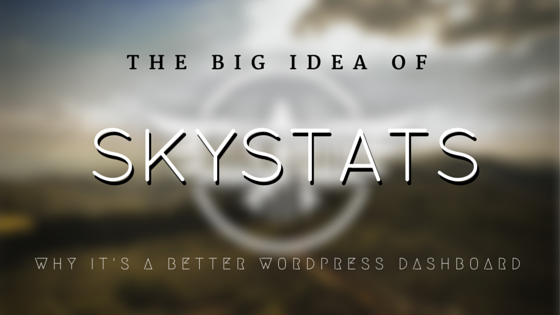 If WordPress is already so great, why is the SkyStats dashboard plugin necessary?